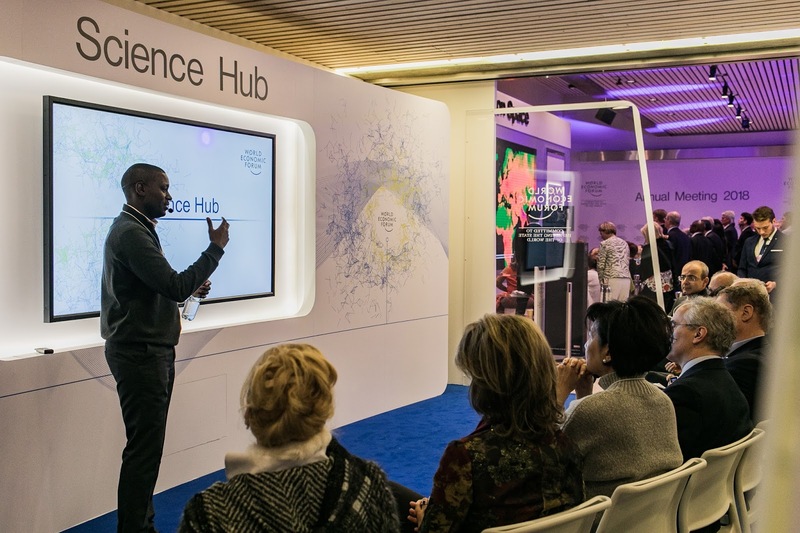 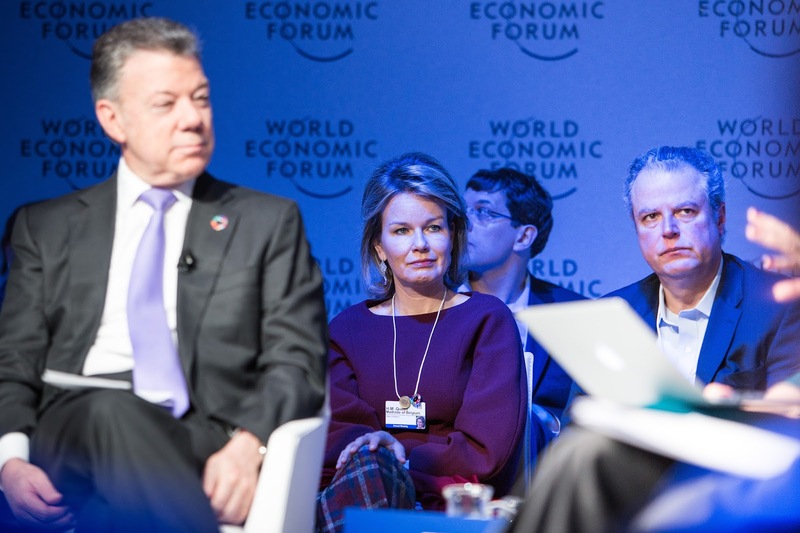 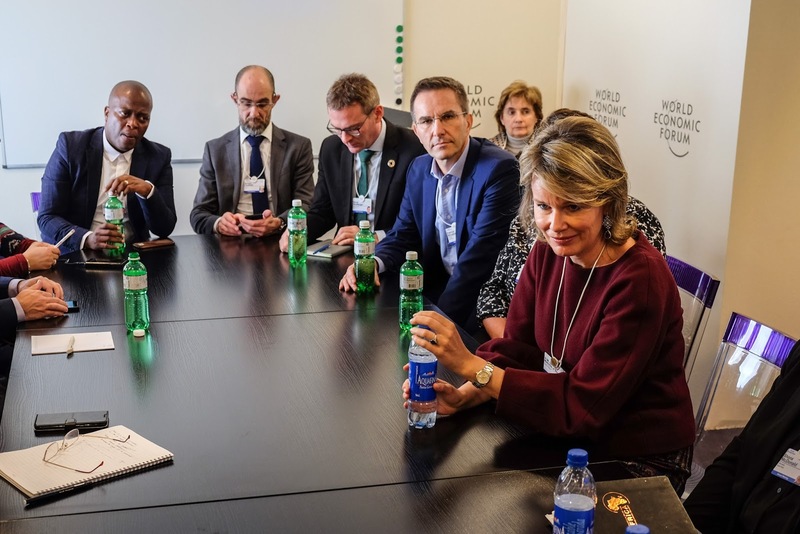 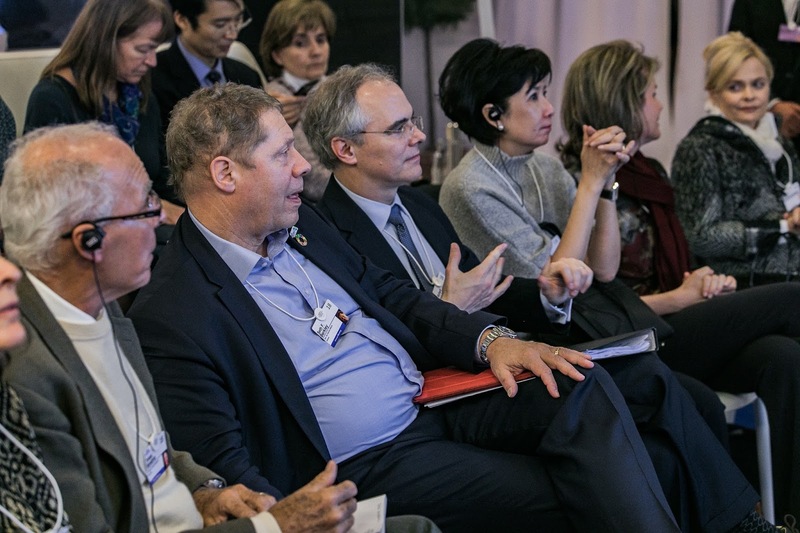 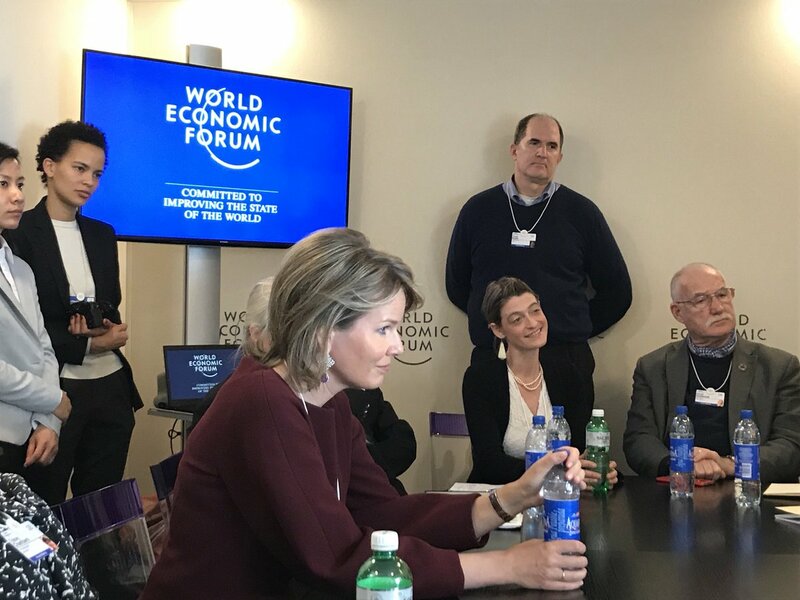 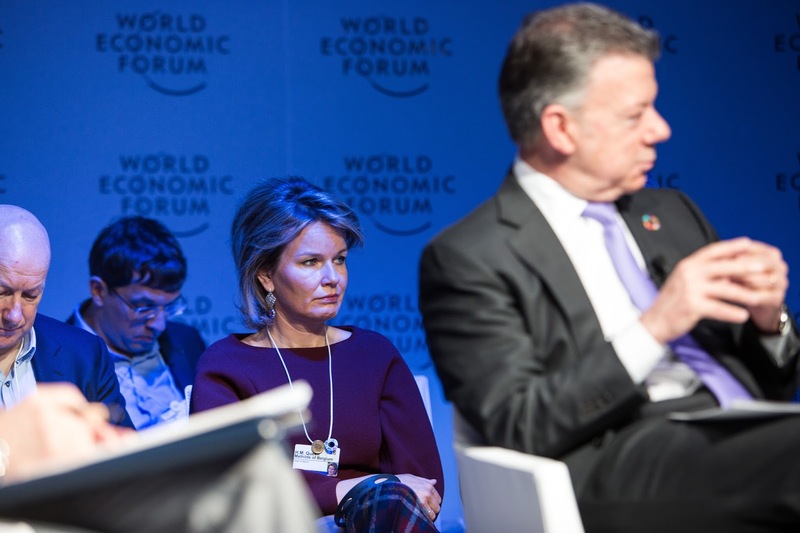 King Philippe & queen Mathilde of the Belgians participate in the annual World Economic Forum held in Davos, Switzerland, from the 22nd to the 25th of January 2018. 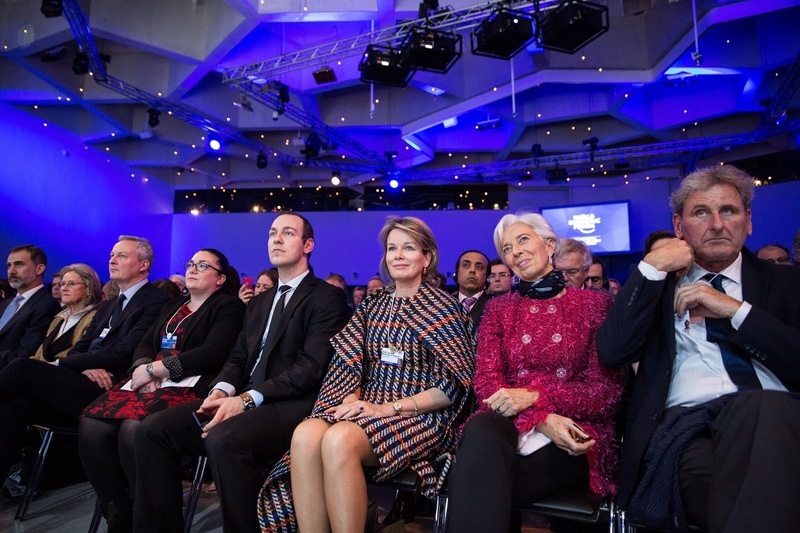 King Philippe & queen Mathilde were at the opening plenary speech by Indian prime minister, Nerendra Modi. 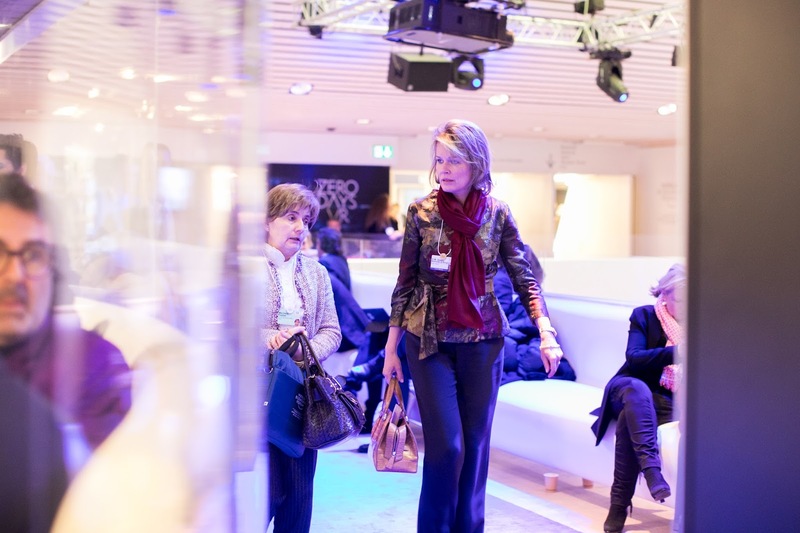 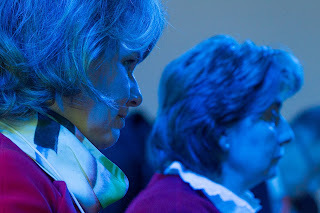 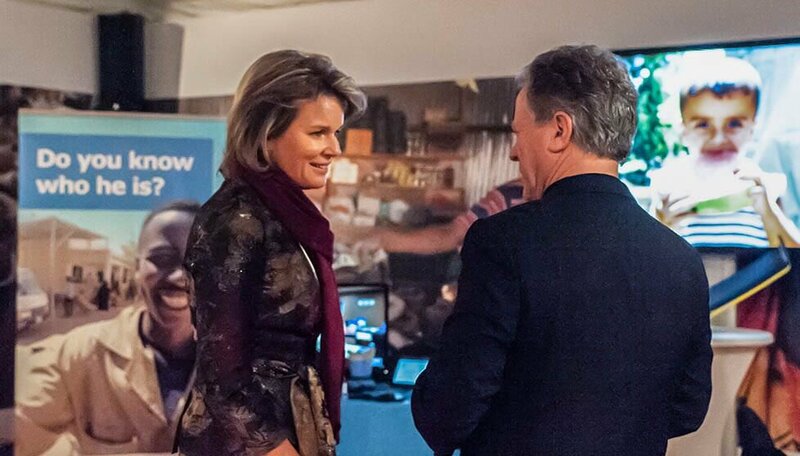 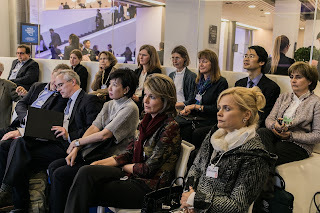 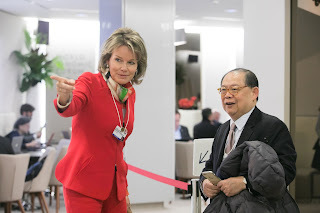 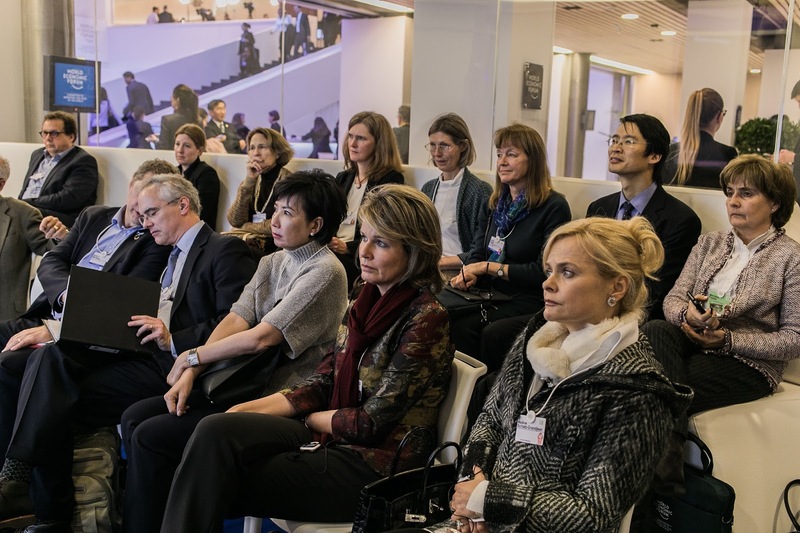 Queen Mathilde attended the session 'Ask about: vaccines'. 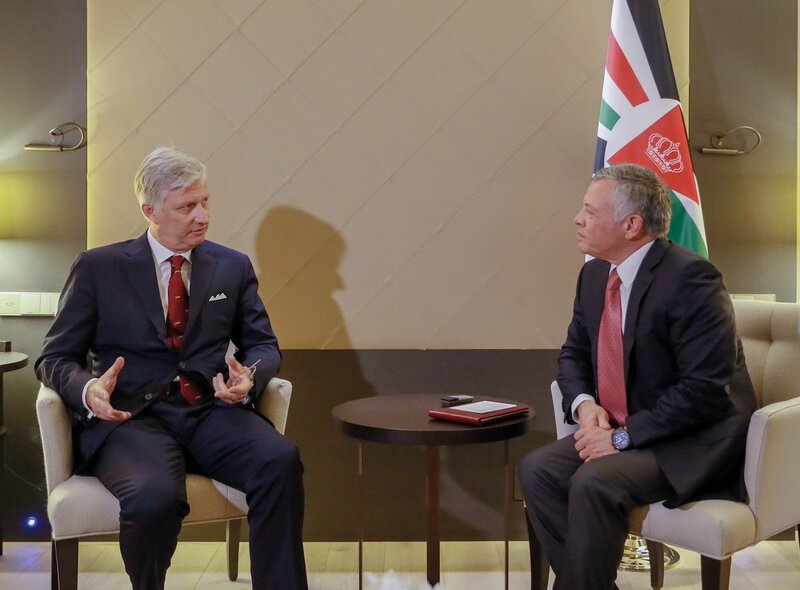 King Philippe had a meeting with king Abdallah of Jordan. 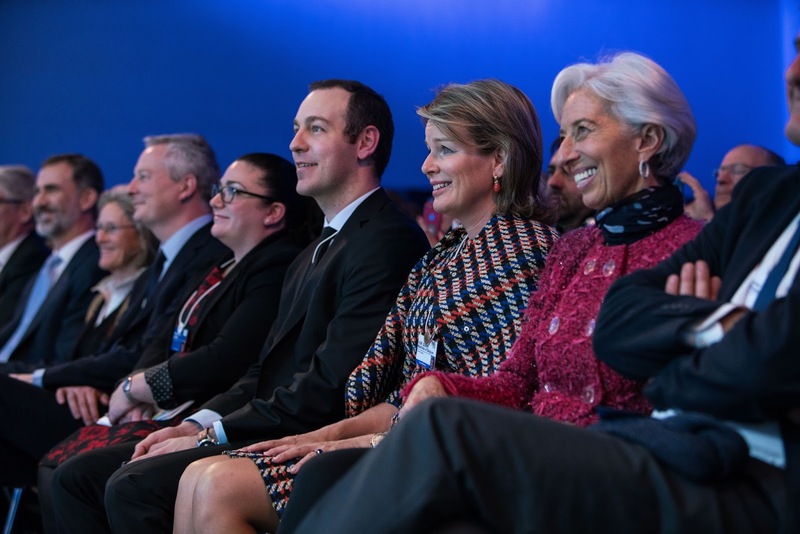 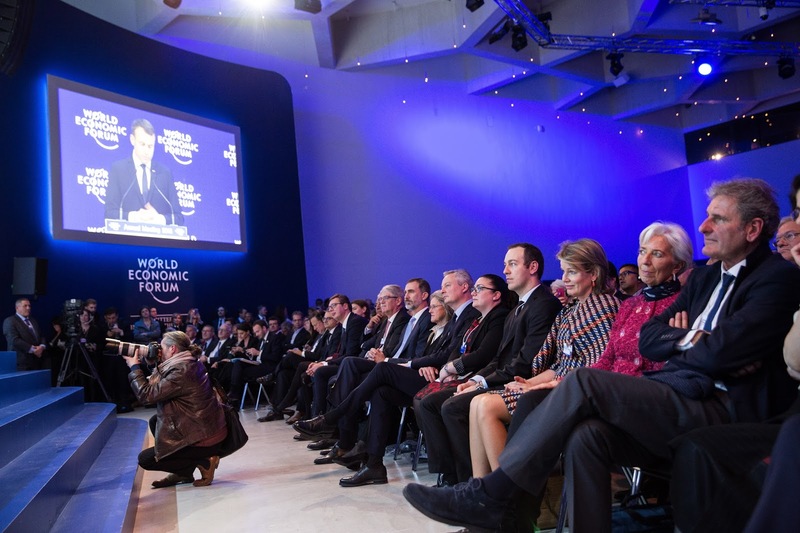 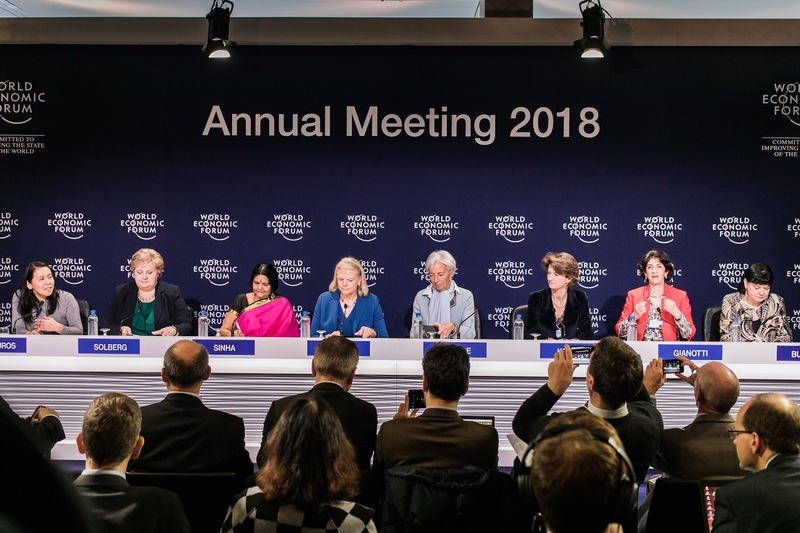 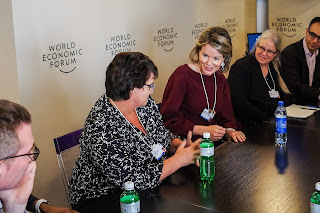 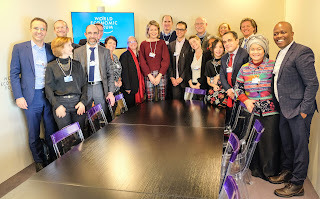 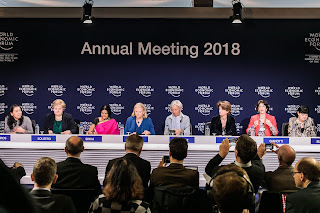 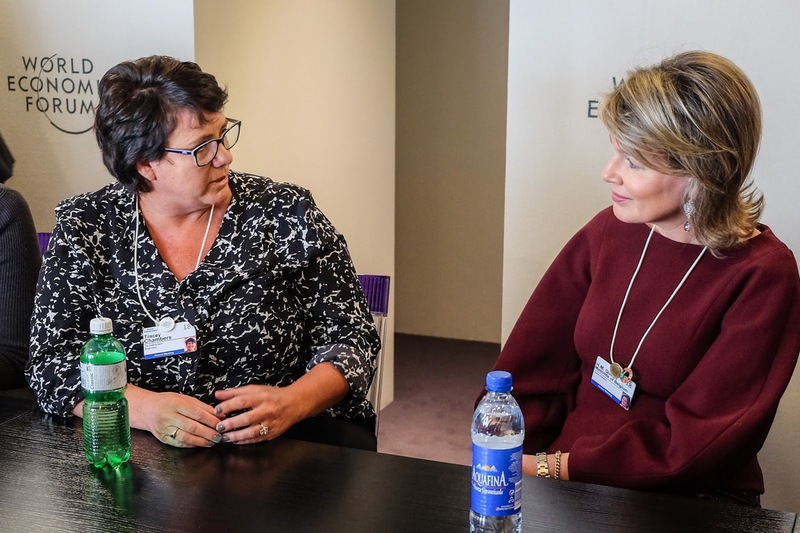 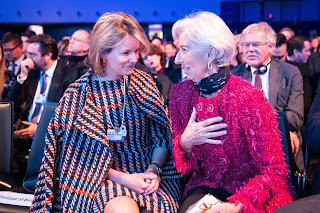 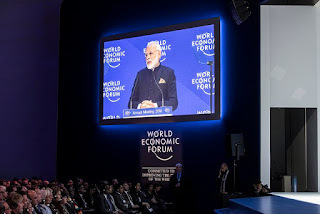 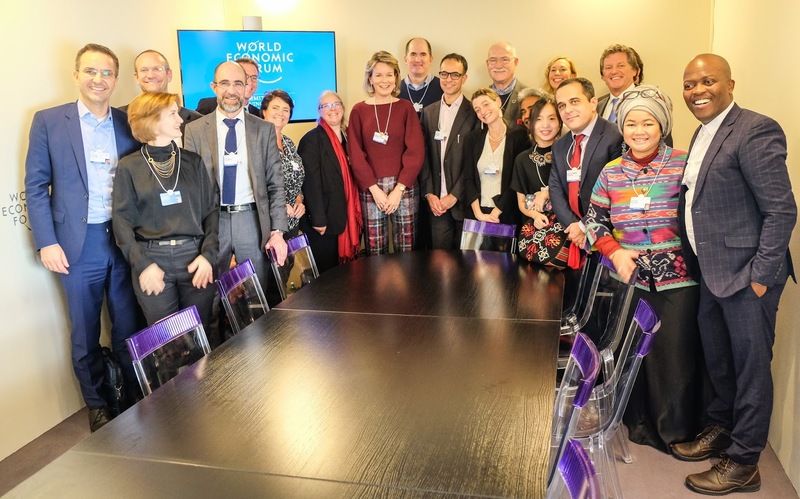 The king & queen attended the session 'Creating a Shared Furure in a Fractured World' with Christine Lagarde, Erna Solberg, Isabelle Kocher, Sharan Burrow, Fabiola Gianotti, Ginni Rometty and Chetna Sinha. 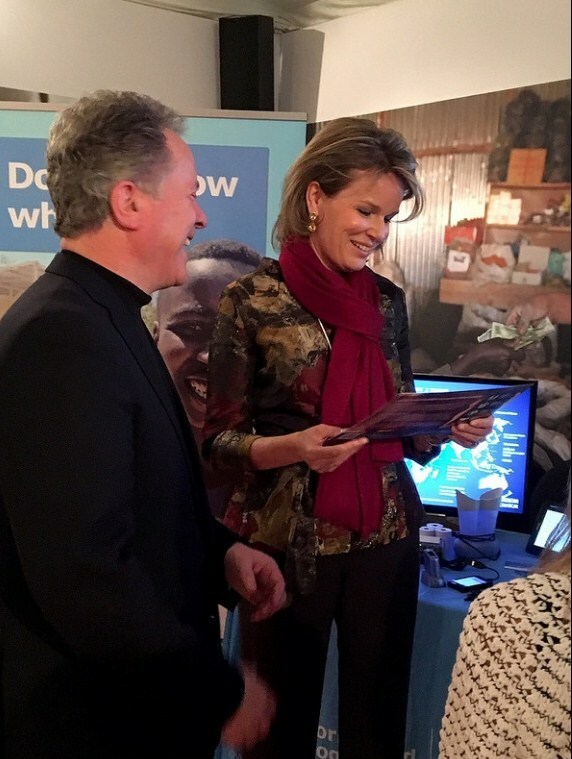 A meeting with David Beasley, the executive director of the World Food Program. Mathilde attended the session 'A Sprint to 2020'. 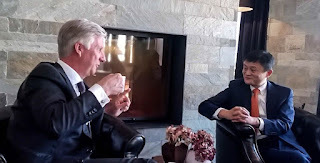 After running into king Felipe of Spain, king Philippe had a private meeting with Jack Ma. 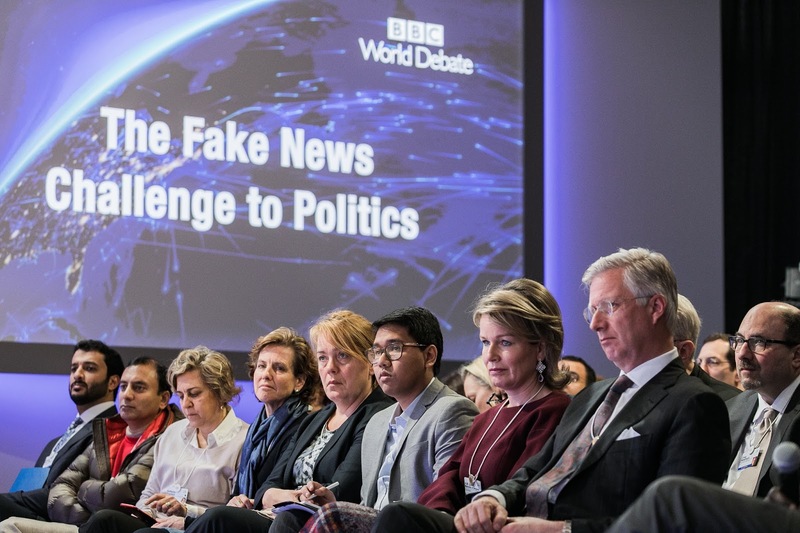 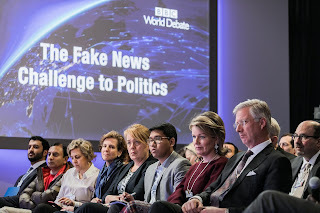 Together, the royal couple attended the session 'Fake News versus Real Politics'. They had meetings with former US foreign secretary John Kerry, Mrs. Fairbairn et M. Drechsler of the UK Chamber of Commerce and with Maersk CEO Søren Skou. 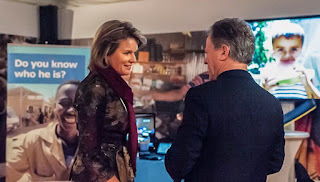 A meeting on social entrepreneurship by the Schwab Foundation, that Mathilde is a member of. The queen was seated on the first row, next to IMF chair Christine Lagarde for a special address by president Emmanuel Macron of France. 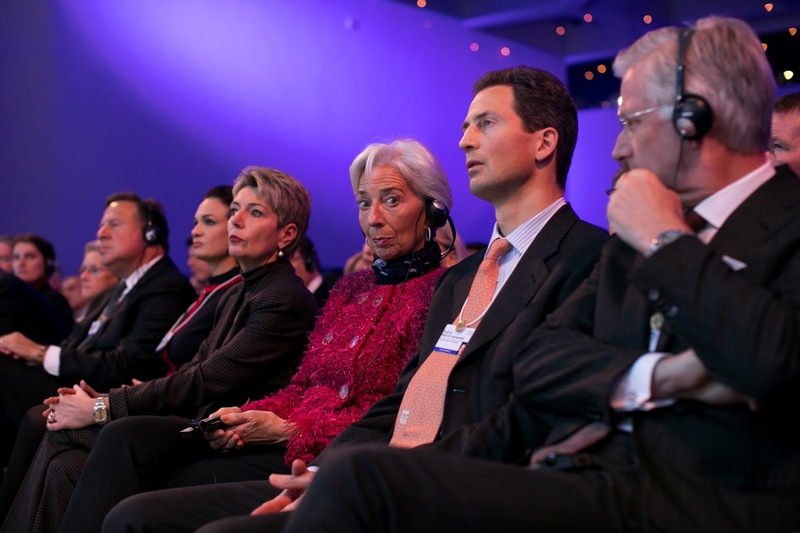 ... whilst king Philippe listened to the special address by German chancellor, Angela Merkel. He was seated next to crown prince Alois of Liechtenstein. 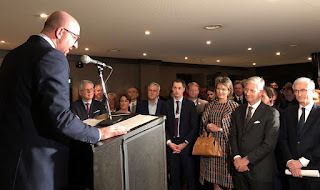 In the evening the king and queen attended the Belgian Power Reception. 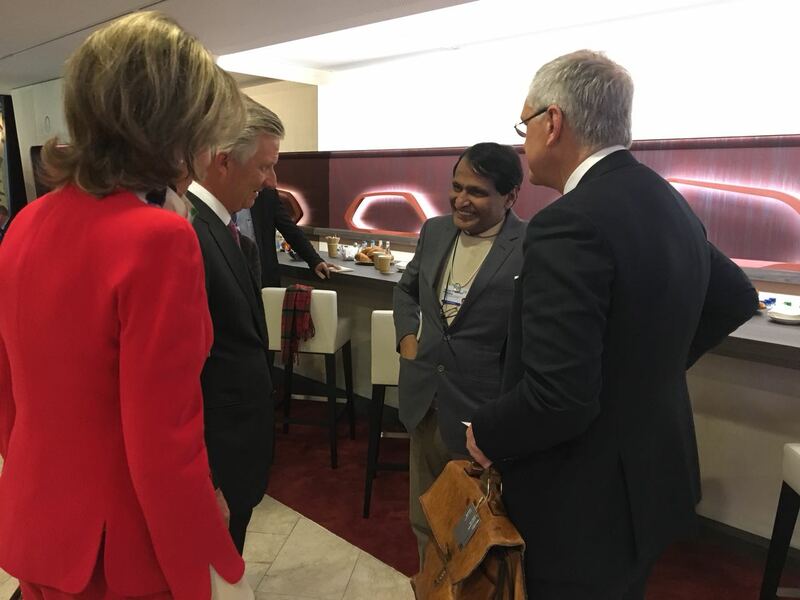 King Philippe & queen Mathilde with Suresh Prabhu, the Indian Minister of Commerce and Industry. 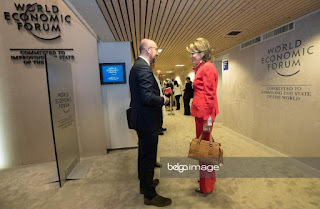 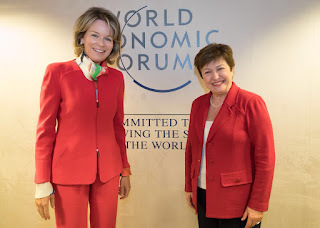 Queen Mathilde had a meeting with Kristalina Georgieva of the World Bank on the empowerment of women, and the implementation of the SDGs. 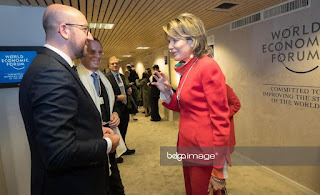 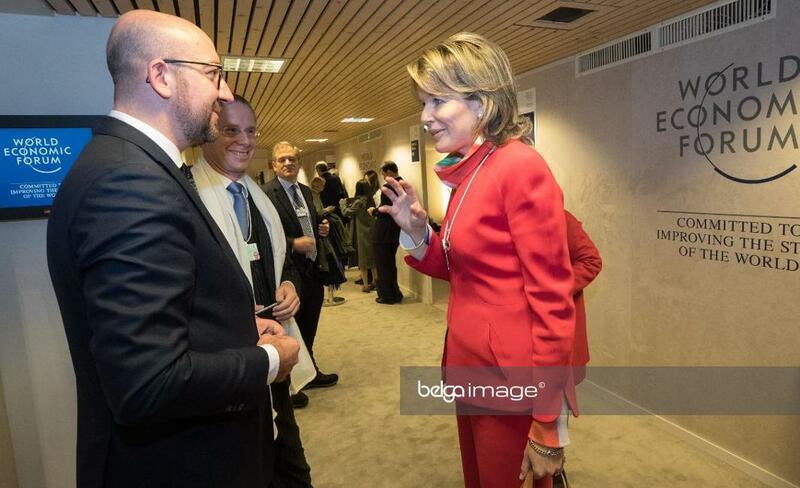 Talking to Belgian prime minister, Charles Michel. 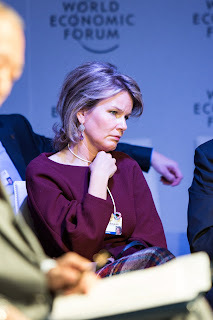 Mathilde also attended the session 'Mapping Eastern Europe: The Long View'.